I also visited the Black Hmong people but did no ask permission to display their photos in a public way – its a nice story and interesting photos – let me know if you want to look and I’ll give you the password. Use the comment facility to contact me. 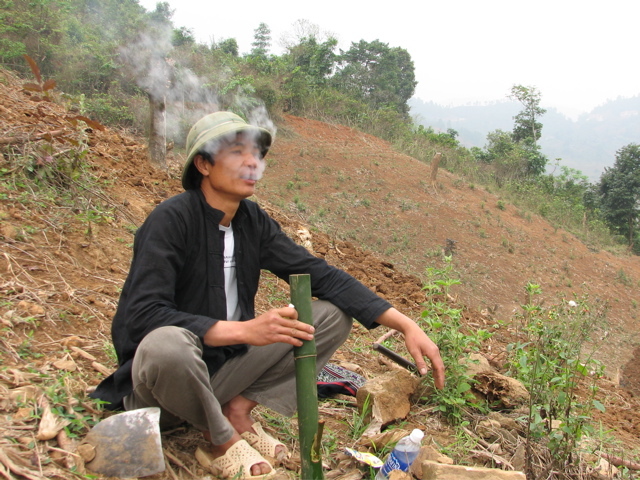 Ngi smoking tobacco in his bamboo water pipe. 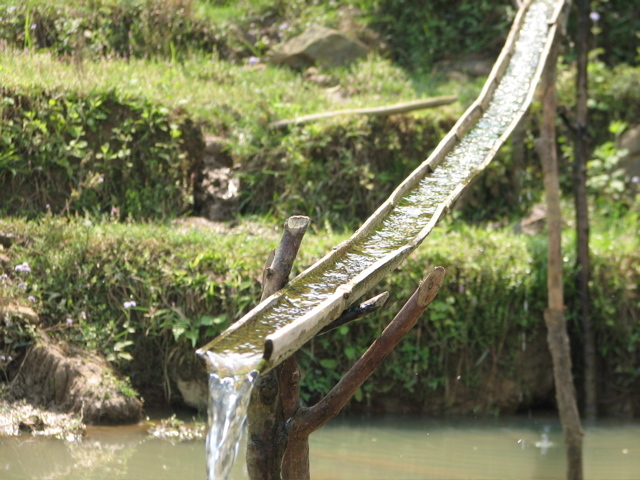 This is in his cornfield – I helped him till for corn planting. You can see how steep the hillside is. 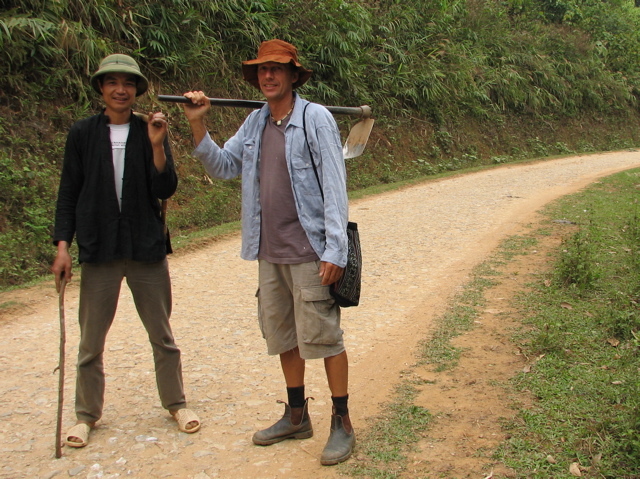 Ngi and I met Duong, my guide, on the way back from the the corn field, and the three of us went back on the motorbike. 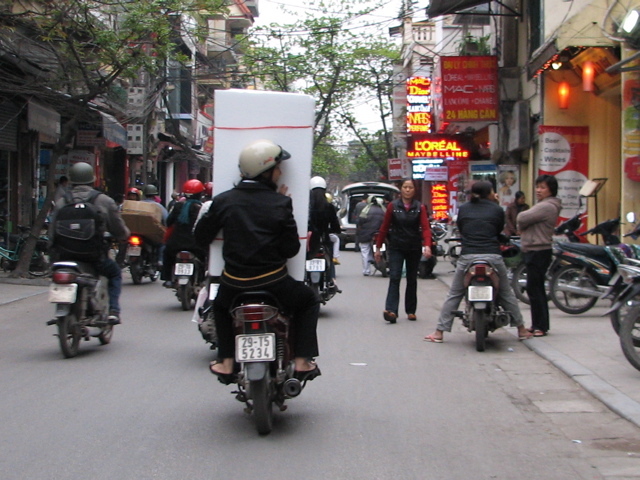 The most I saw was five on on one motorbike – a very modest load. 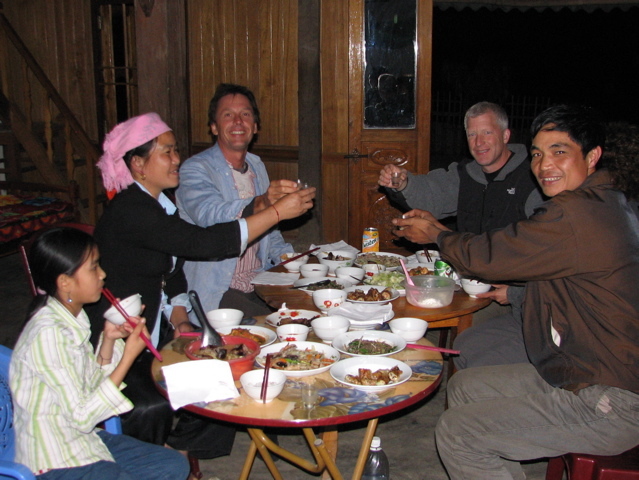 These fishermen, Sang and his father and uncle, showed me the river at Hoi An on their boat.